One wouldn’t normally associate an art opening with instances of prolonged hugging. Unless it’s the mouths of eager wine consumers hugging the rim of that little plastic cup they always give you at art openings. But at artist Michael Alan’s opening reception, there will be one very literal hug that will last for a whopping four hours. The participants will be Alan himself and his partner Jadda Cat, who will be doing the deed (hugging, that is) while covered in Alan’s visual artwork, stationed in the unmissable center of the gallery. This exhibition and performance is part of a long-running (17 years, to be exact) project of Alan’s entitled “The Living Installation,” a series of small performance-based art happenings, such as his recent glow-in-the-dark paint party. An array of his works on paper will also be on view, including new large-format abstract works and 96 baseball cards the artist created from childhood until the present day. Sometimes art, like life, works best with a little added affection. Just remember to ask for consent! Opening Saturday, December 9 at Dacia Gallery, 5 pm to 8 pm. 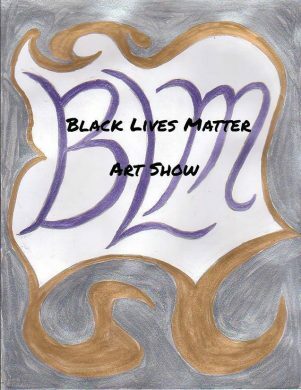 Carla Cubit and Occupy Art’s popular Black Lives Matter Art Show, previously shown at places like The Living Gallery, finds a new life at Dacia Gallery this Saturday evening. The show consists of Cubit’s photography chronicling the Black Lives Matter protests that have happened throughout New York (and are still happening to this day) and banners from Take The Stands, an activism initiative showing support for racial justice and black lives through large posters displaying phrases like “This is us taking a knee, black lives matter.” In addition to the visual work on view, the reception includes speakers from Take The Stands and The Stop Mass Incarceration Network, a performance from Ras Moshe Burnett, an open mic and jam session, and a talk with the artist. Those wishing to go home with something to show their support can purchase handmade BLM pins, necklaces, and other items for a mere $1 each, or take home a free poster from The Stop Mass Incarceration Network. Opening Sunday, December 10 at Wilmer Jenning Gallery, 3 pm to 6 pm. On view through January 20. 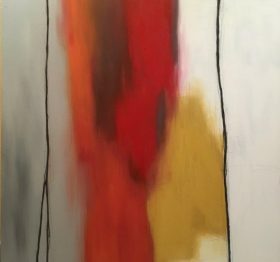 At Wilmer Jenning Gallery, recent works by Alexis Mendoza and Leslie Jean-Bart will go on view, with an opening reception on Sunday afternoon. 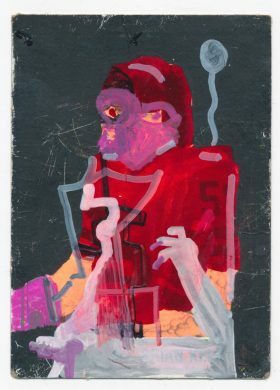 The Cuban-born, Bronx-dwelling Mendoza’s abstract painting work combines blurry colors and bold dark lines, referencing Nigeria, Yoruba tradition, and “the mutual invasion of color and representation,” while Jean-Bart is a Haitian photographer with a focus on portraiture, photojournalism, and imaginative imagery. The gallery itself is a space associated with the Kenkeleba House, an institution on East 2nd Street exhibiting work by African-America, Latino, Asian-American, and Native artists and also includes studio spaces and an outdoor sculpture garden.